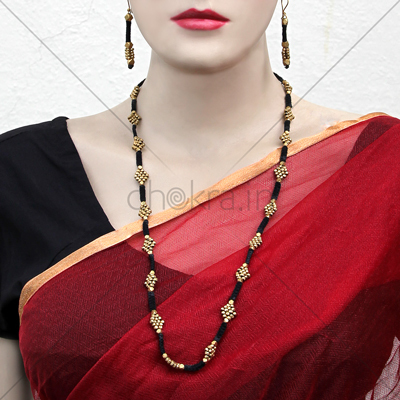 Made of brass beads interlaced in black cotton string. 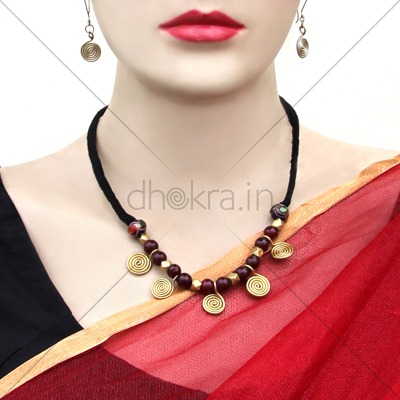 The oversized centerpiece adds a pleasant twist to this handmade Dhokra neckpiece. 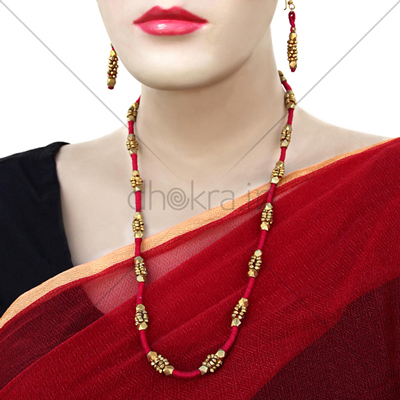 Coordinate this jewel piece with any western ensemble.